I wrote about this a few weeks ago, but then the weather turned and so the family fun day was postponed until tomorrow! 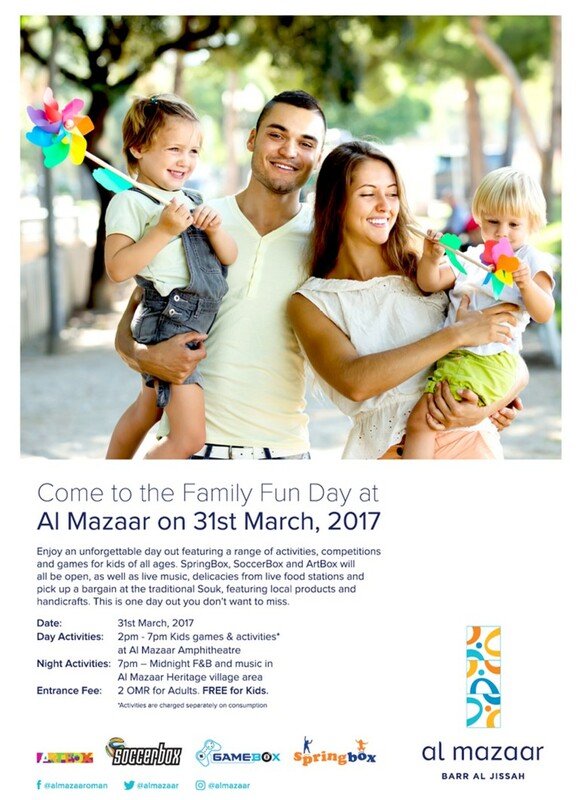 Starting at 11am and running until 7pm there are kids games and activities being held in the newly renamed Al Mazaar Amphitheatre. For those of you not aware, there is a great indoor kids play area, along with some new Box zones (there are 4 new ones, SpringBox, SoccerBox, ArtBox and GameBox). The SpringBox, SoccerBox and ArtBox areas will all be open for this day and it will keep your kids busy for hours. Then, after 7pm there music is turned up and you can get dinner (and some adult soda's if thats your thing) until Midnight, or when your kids pass out. And the cost? RO 2 per adult, and kids are free! A pretty good way to while away a Friday with the kids! 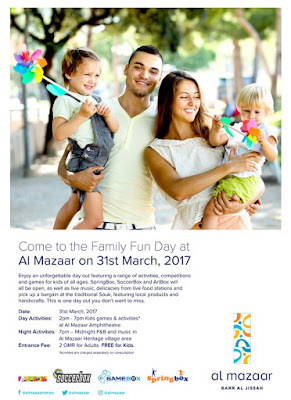 You can find out more by checking out Al Mazaar on Facebook, Twitter and Instagram.